Begin using Enfagrow Older Toddler Ready-to-Drink milk drinks in your child's daily routine. Click here to write a Member Review to share your opinion with the SheSpeaks community. Spread the word about Enfagrow Older Toddler Ready-to-Drink by sharing your coupons and samples with your friends and family! Welcome to the Enfagrow® Older Toddler Program! We're excited to give you and your child the opportunity to be among the first to try Enfagrow® PREMIUMTM Older Toddler Ready-to-Drink milk drinks. Discover: Begin using Enfagrow Older Toddler Ready-to-Drink milk drinks in your child's daily routine, in place of one or more servings of milk per day. Discover firsthand how the product works for your family. Join other moms like you on our discussion board to discuss your experiences with the products. Review: Write a Member Review to share your opinion with the SheSpeaks community. Click here to write your reviews. Share: Spread the word about Enfagrow Older Toddler Ready-to-Drink by sharing your coupons and your samples with your friends and family who have young children so they can try it for themselves. You can also share your feedback with the Enfagrow team by taking the program evaluation survey. Coupons for $15.00 off Enfagrow products, including: unflavored Enfagrow PREMIUM Toddler powder, Enfagrow Gentlease Toddler powder, Enfagrow Soy Toddler powder, Enfagrow Older Toddler powder, and Enfagrow Older Toddler Ready-to-Drink milk drinks. Please feel free to use these coupons to stock up on products for your family or share them with your friends and community. 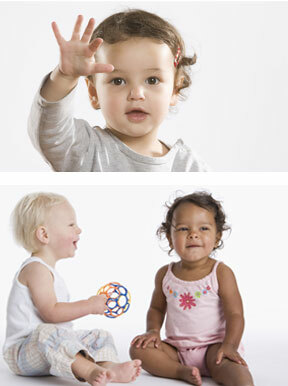 Click here to learn more about Enfagrow's products for toddlers. Or, to find Enfagrow products at your favorite stores, visit Enfamil.com/StoreLocator. Enfagrow Older Toddler Ready-to-Drink milk drinks provide nutrition tailored for children one year and up. Made with real milk, the product has 19 nutrients to help support development, including DHA and iron — two building blocks of your child's brain. The product also includes a Natural Defense® Dual Prebiotics® blend, which is designed to help support digestive health.